DJI will shortly release a second-generation version of the Mavic drone. 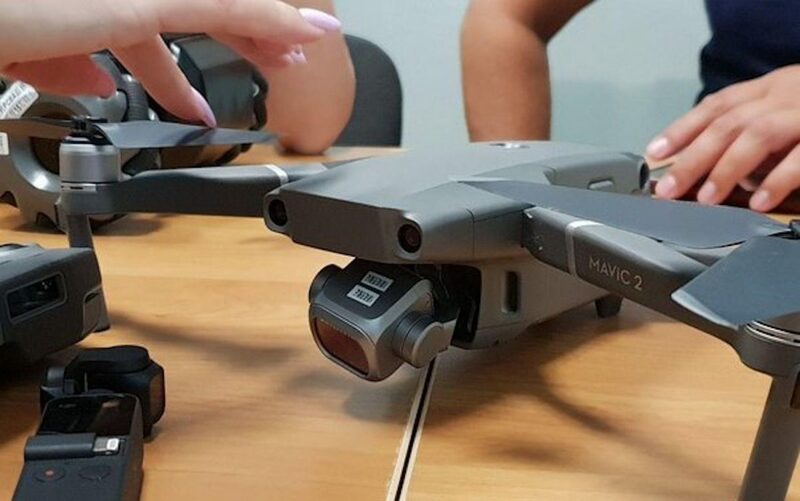 However, the launch event for DJI Mavic 2 has been postponed. Luckily, there are leaked photos available online on the site DroneDJ that clearly shows a sleeker design. DJI is the market leader for both professional and consumer-focused drones. That’s an astonishing feat for a Chinese company. The company previously released the Phantom 4 Pro v2 drone, and now the Mavic series will receive an update. The new DJI Mavic 2 Pro and Mavic 2 Zoom sport an aerodynamic design, which improves flying capabilities and extends its reach. It employs the same folding mechanism as Mavic Air and Pro. It’s possible to attach an external gimbal by sliding it into the drone. One can also remove the gimbal after a flight and reuse it on another drone. Furthermore, there’s a second gimbal with a less sophisticated camera. Mavic 2 utilises two sensors to navigate: a 1.7-inch sensor and a 1-inch one. The sensors provide 360-degree obstacle avoidance, which implies that this drone is very adept at flying challenging fly routes. DJI had originally scheduled the cool-sounding, sensor focused launch event ”See the Bigger Picture” on July 18th. Unfortunately, DJI decided to postpone it due to unknown technical issues. It’s unclear when the event will occur. Drones in the Mavic series typically cost around NZ$1,400 inclusive of GST.